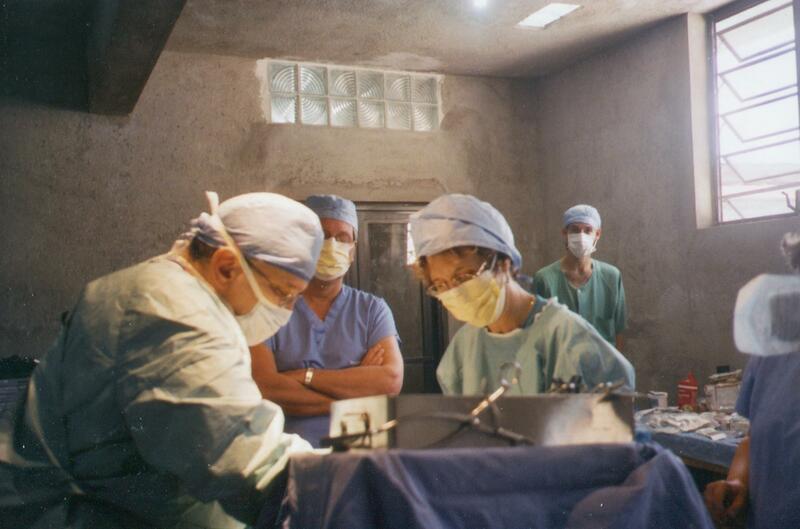 Dr. Tony DeGiovanni was the first surgeon to operate in Thiotte on behalf of HMMW. 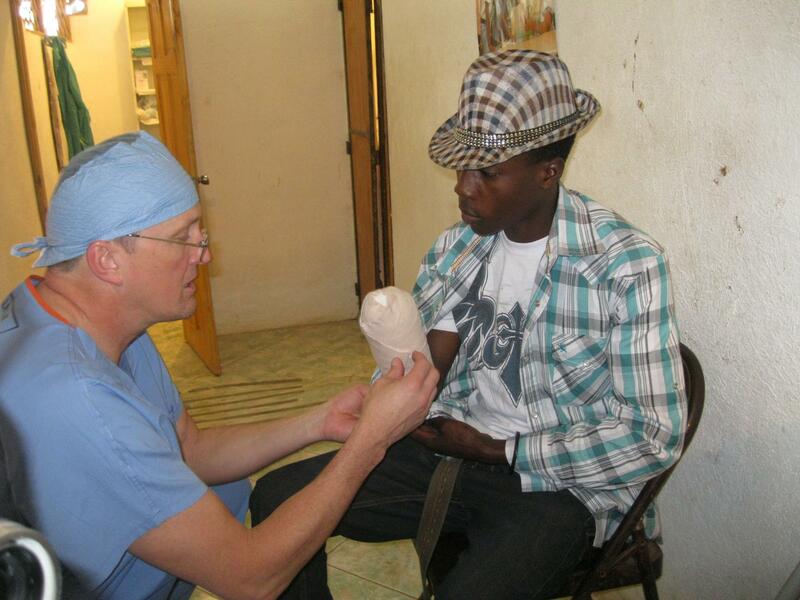 The first surgery he performed was on the steps of the local church. 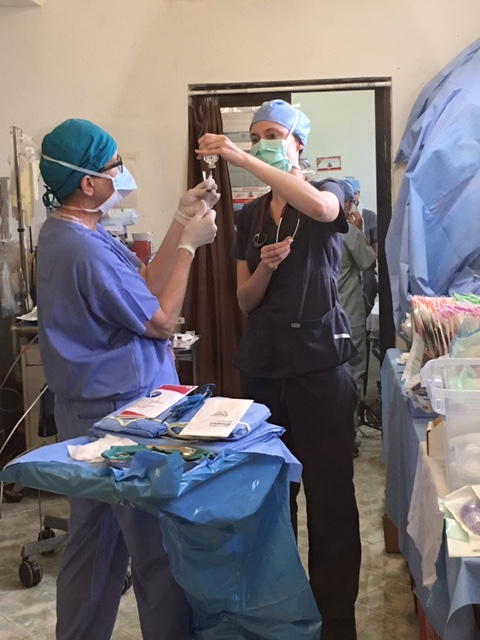 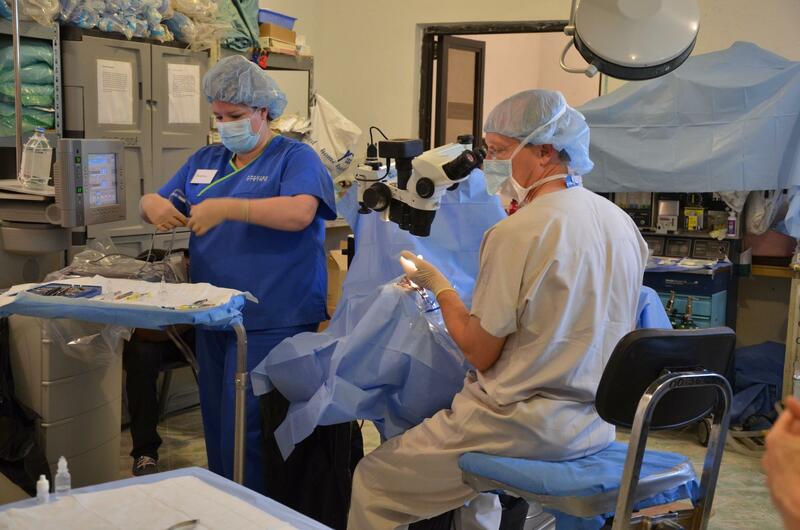 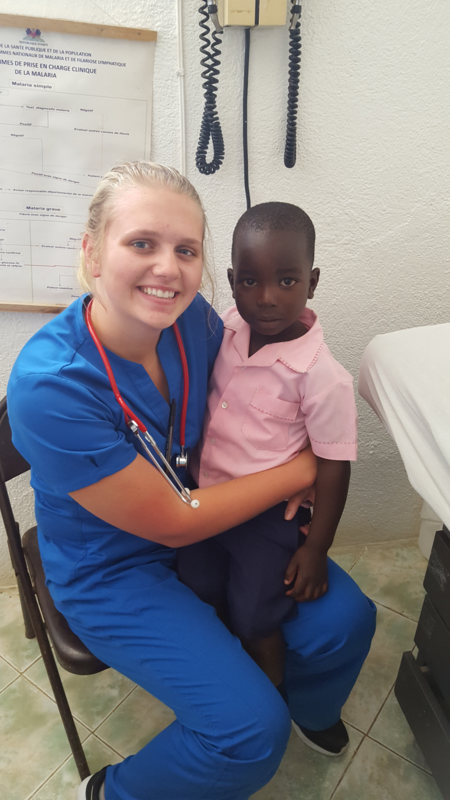 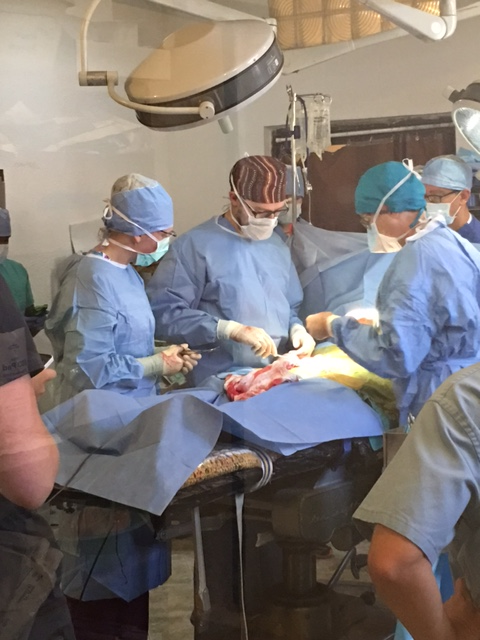 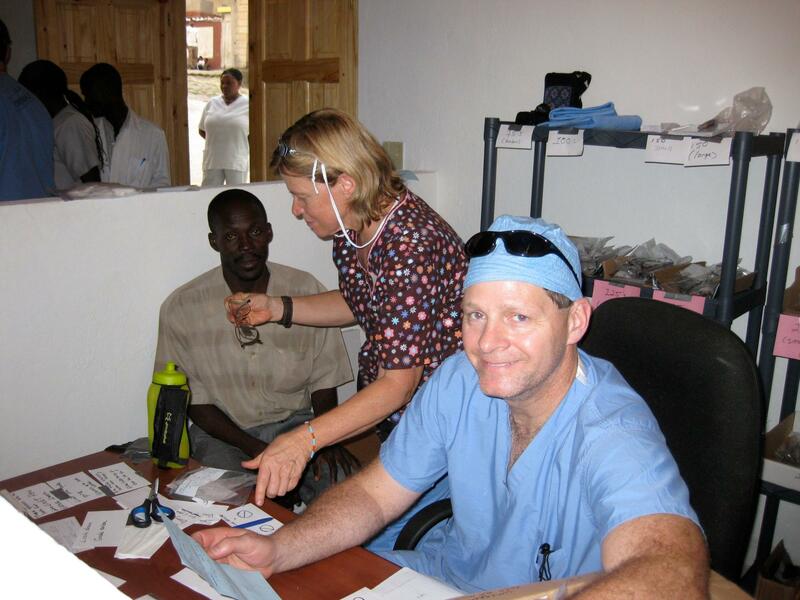 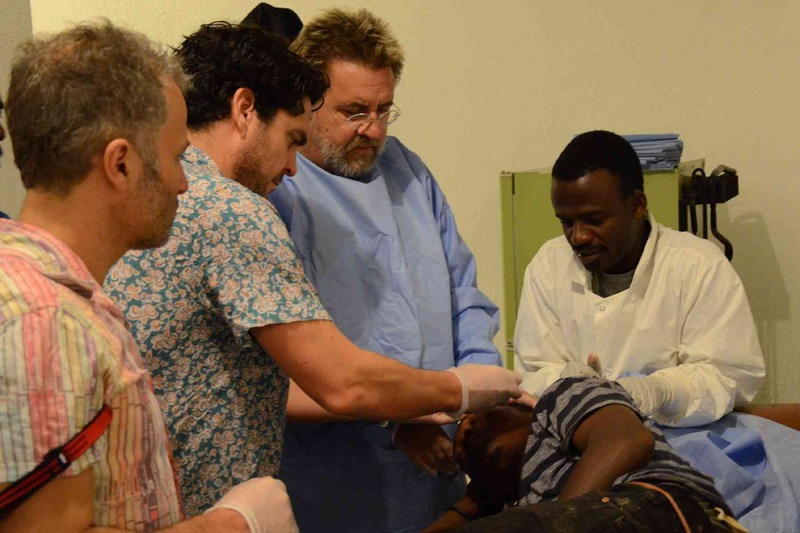 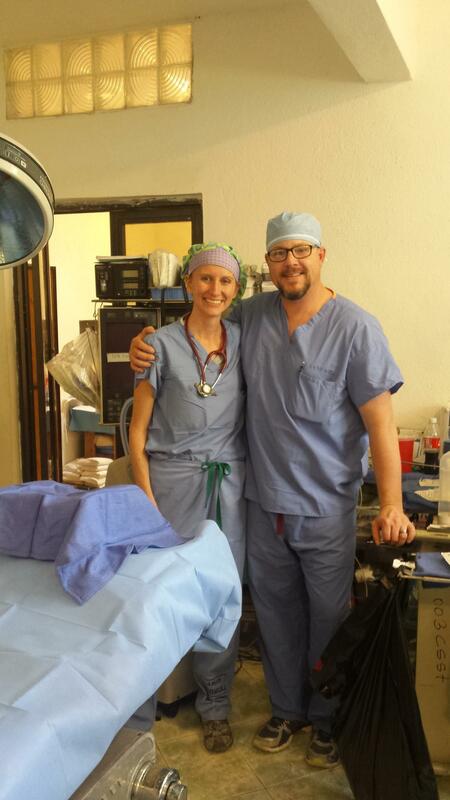 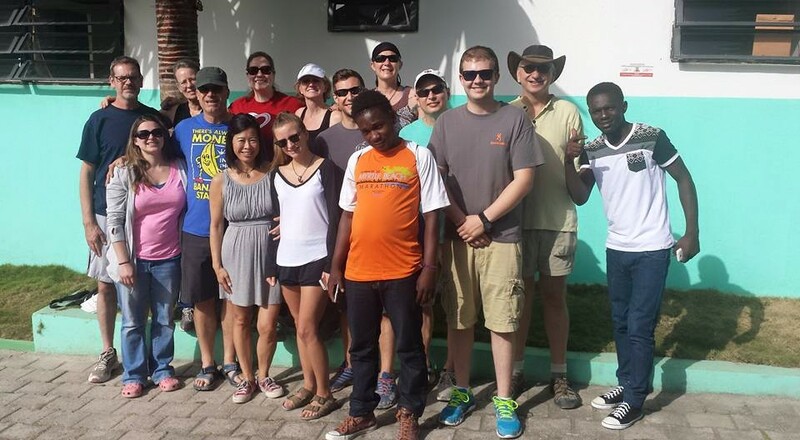 He was assisted by a dedicated team of volunteer medical professionals, including Dr. Maureen Murphy. 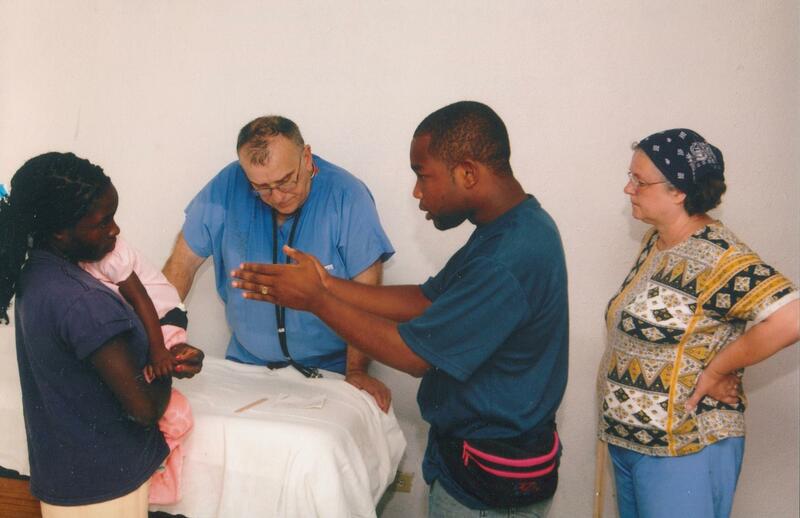 At the end of that day, Dr. DeGiovanni found a secluded place and began sobbing; he was overwhelmed by the immense amount of medical attention needed and felt despair for how much the people suffered in Thiotte. 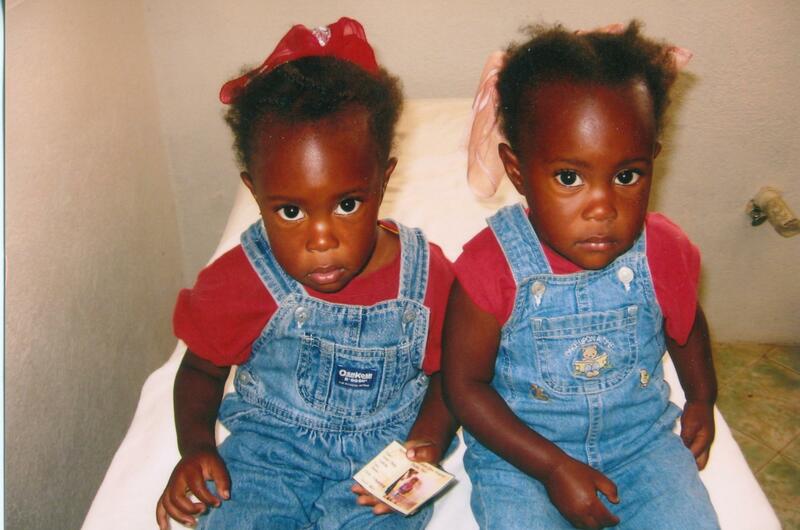 "I was sobbing because there was so much to do, and I was uncertain we could help them all. 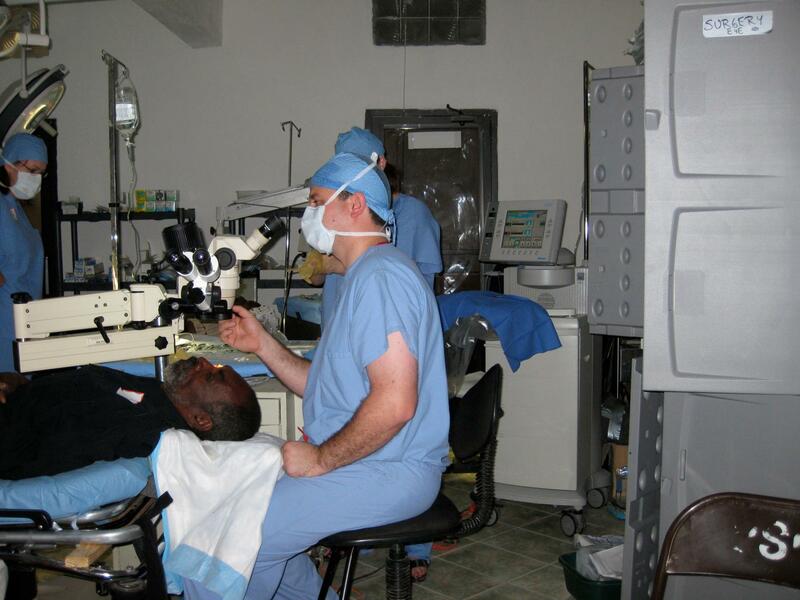 It was at that moment I realized if I helped one person I would make a difference," recalled Dr. DeGiovanni. 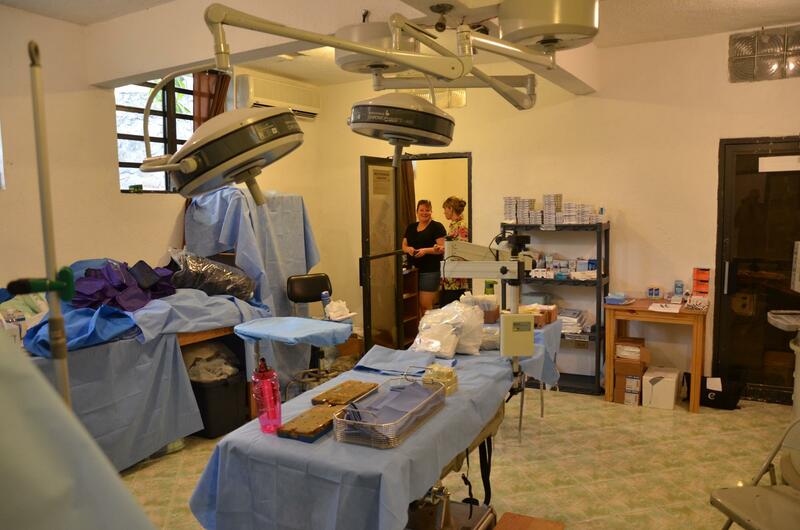 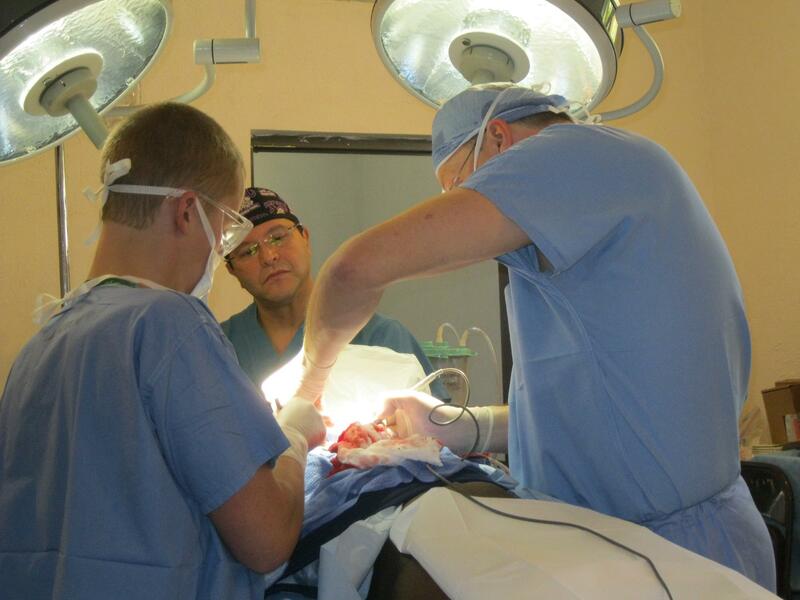 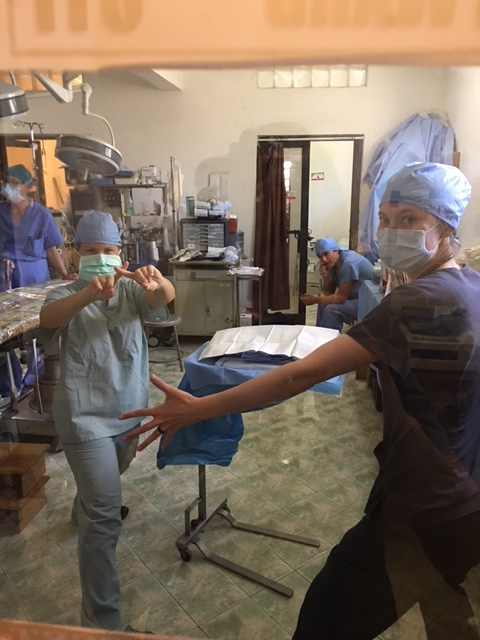 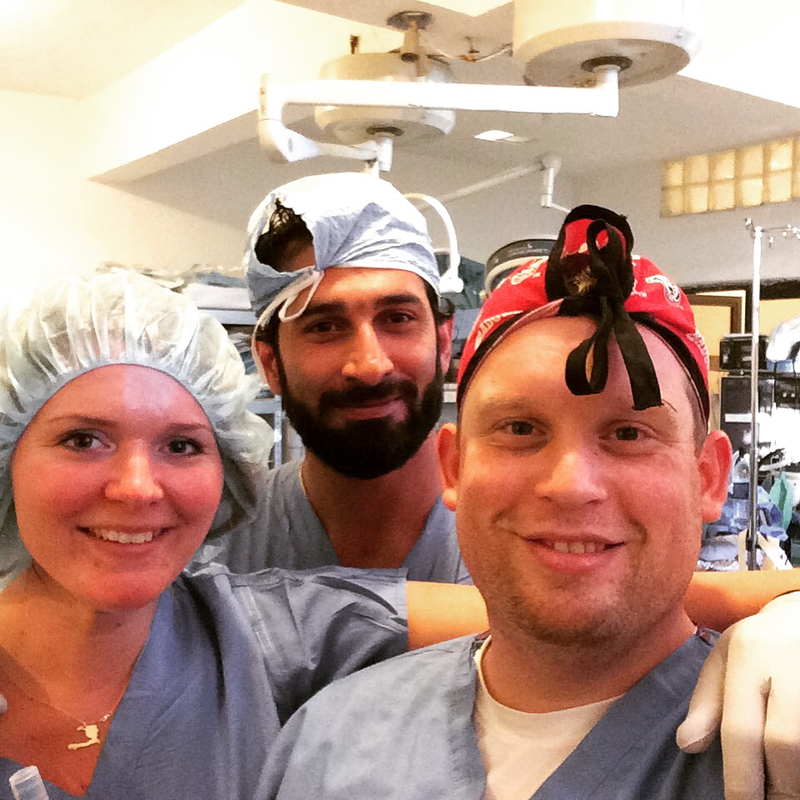 Since that day, Dr. DeGiovanni has returned to Thiotte to perform hundreds of surgical procedures on dozens of trips. 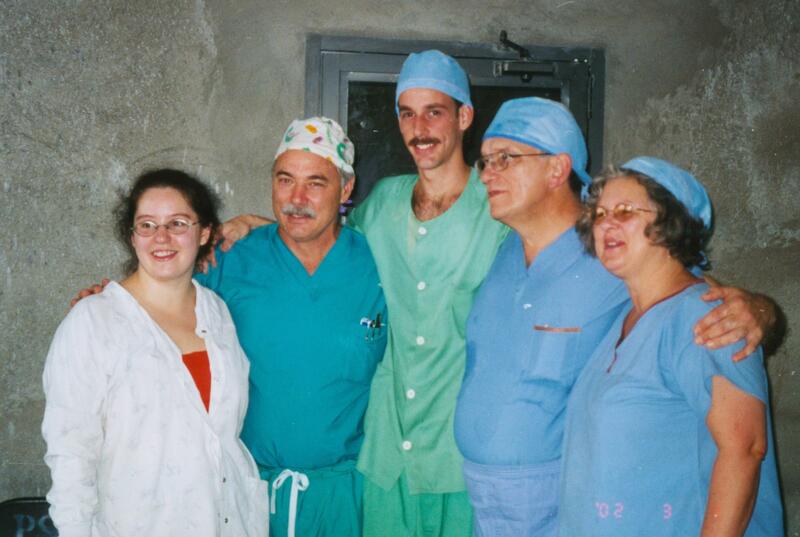 The DeGiovanni family was so motivated to help the people of Thiotte that they provided substantial funding to build the clinic and operating room. 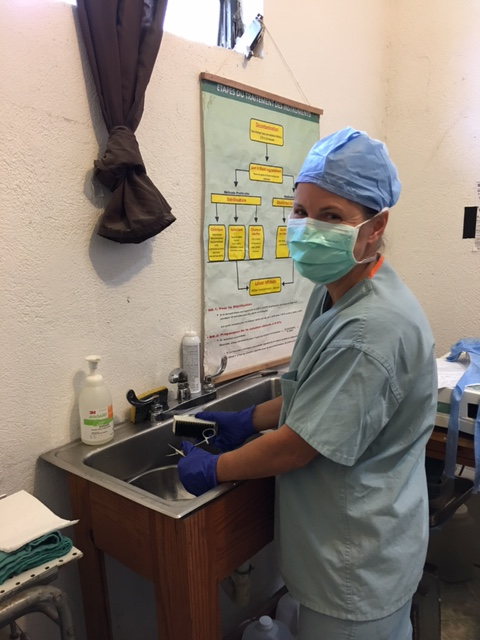 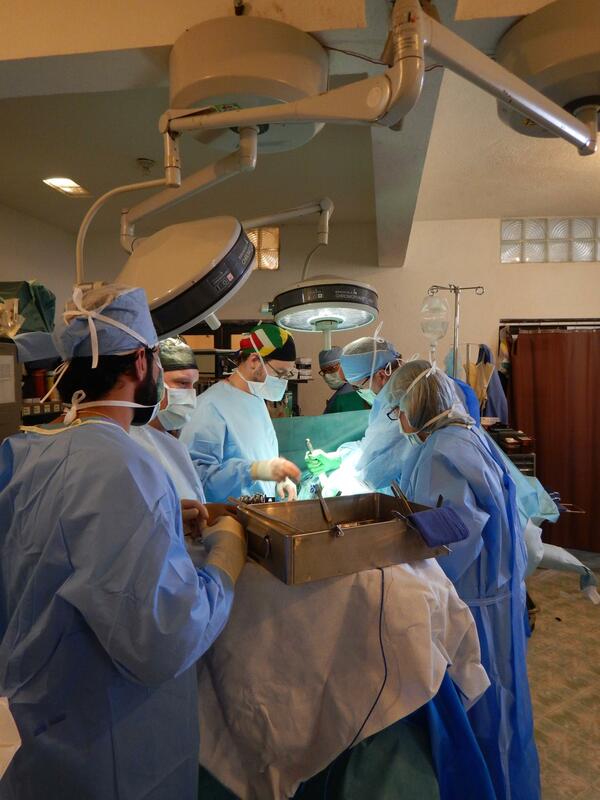 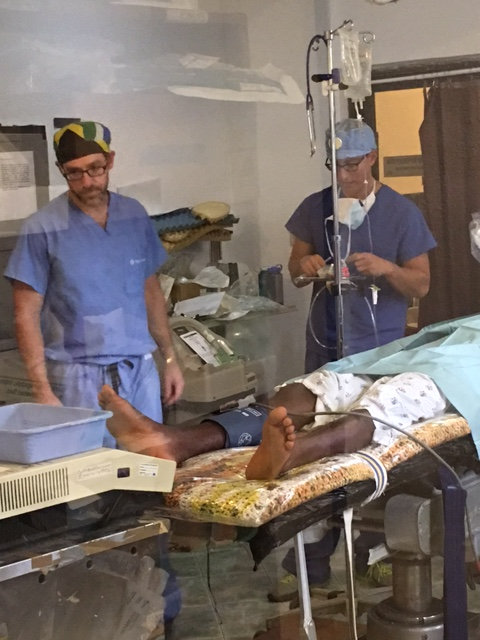 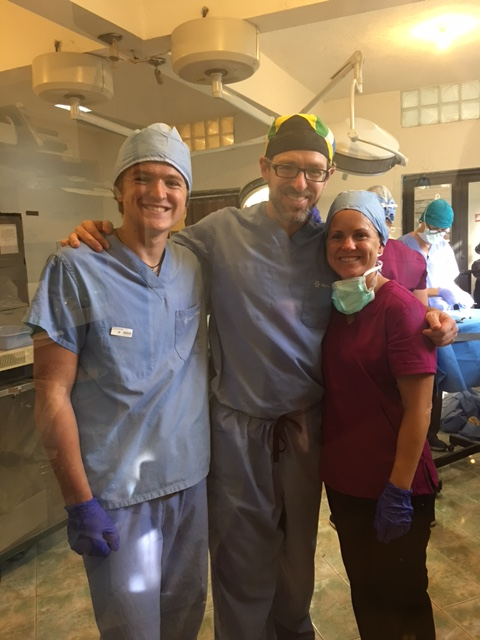 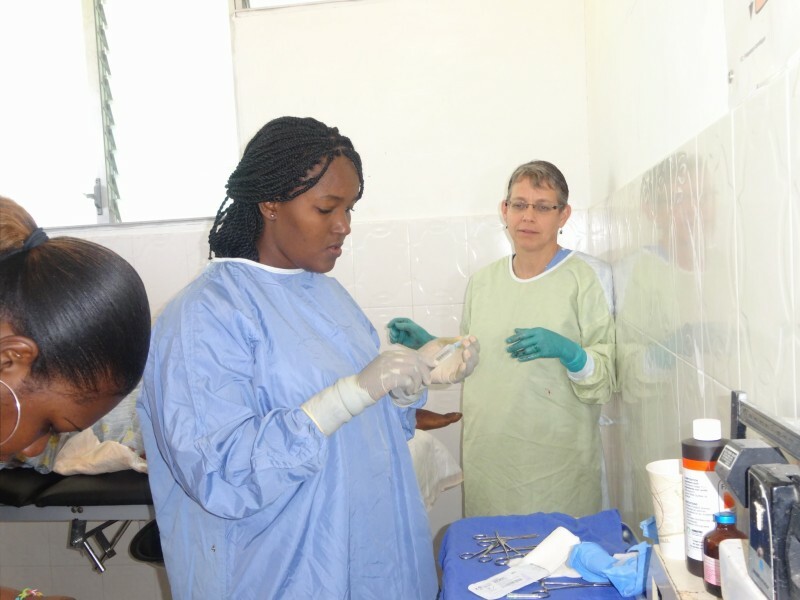 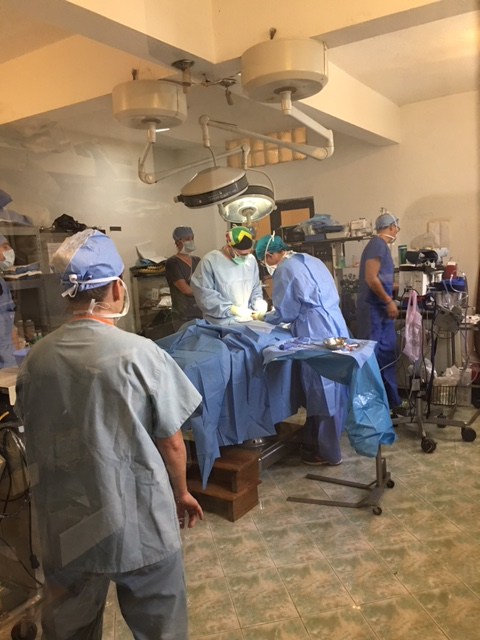 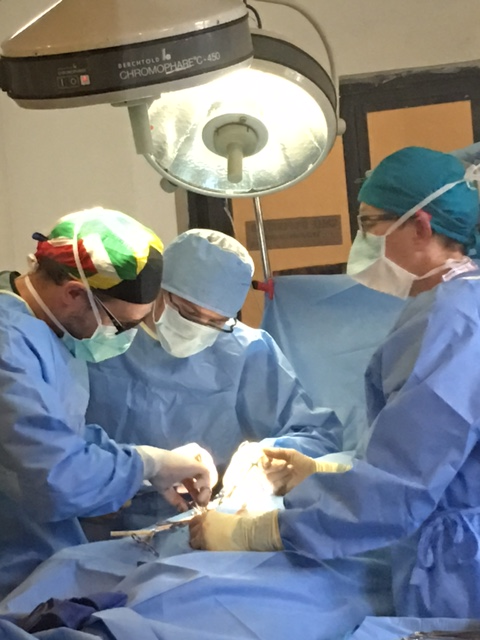 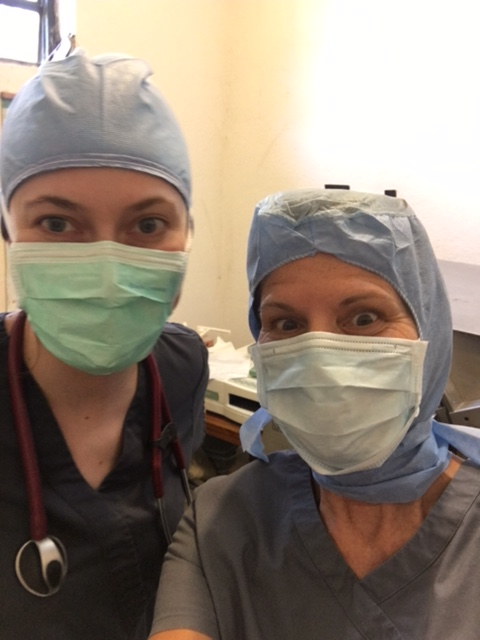 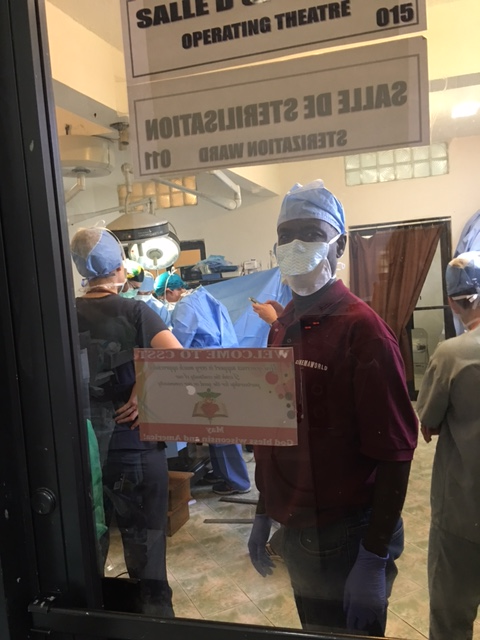 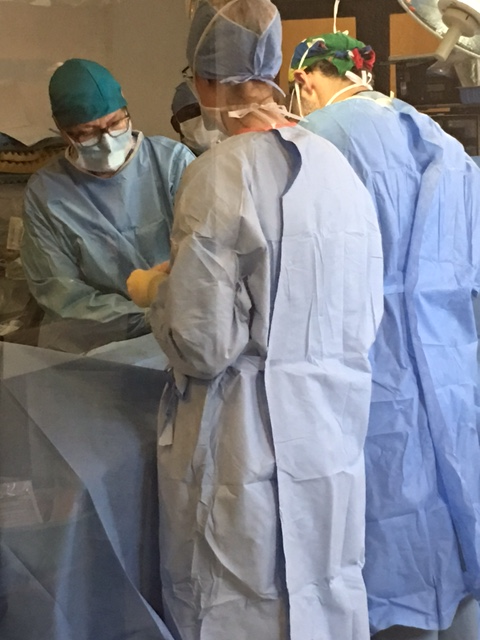 HMMW volunteers have completed over 1000 General Surgeries since 2000, including hernias, hydroceles, breast tumors, lipomas, minor growths, caesarean sections, and emergency trauma procedures. 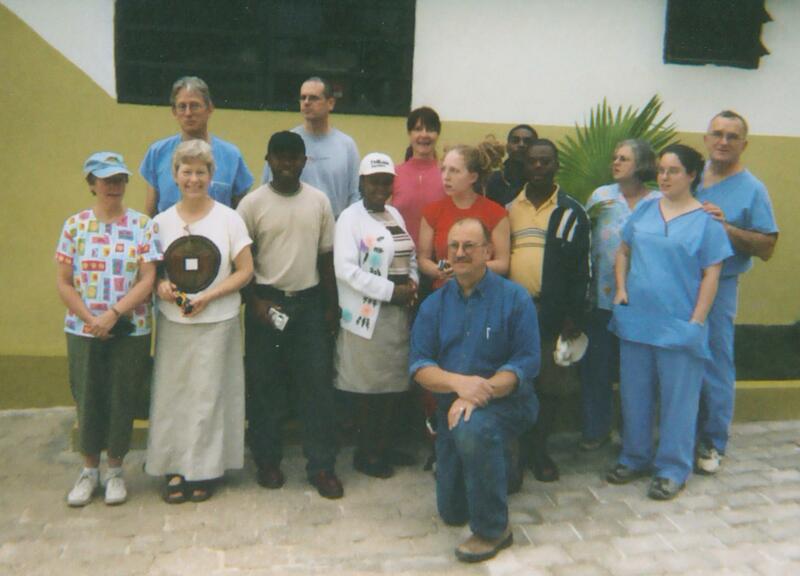 2002 photo. 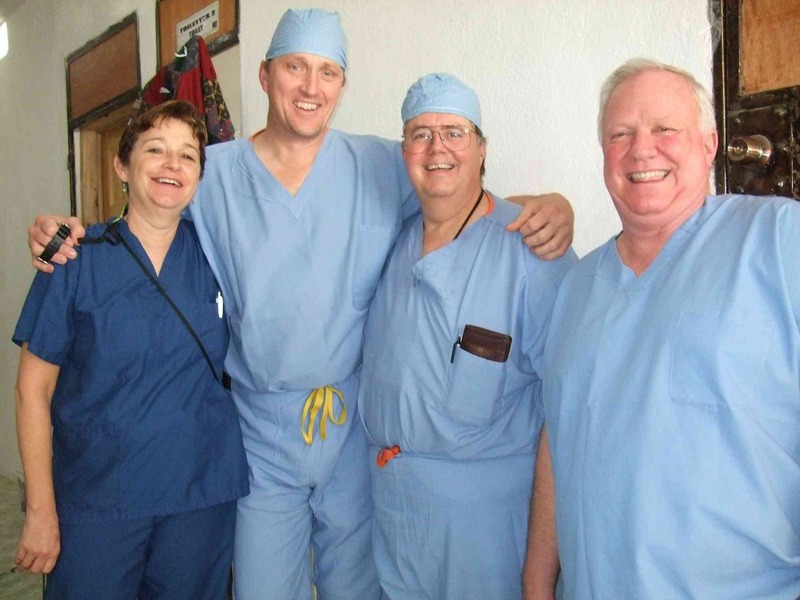 From the left is Gina DeGiovanni, Dr. Joe, Dr. Javier, Dr. Tony DeGiovanni, and Mrs. Marion DeGiovanni, RN. 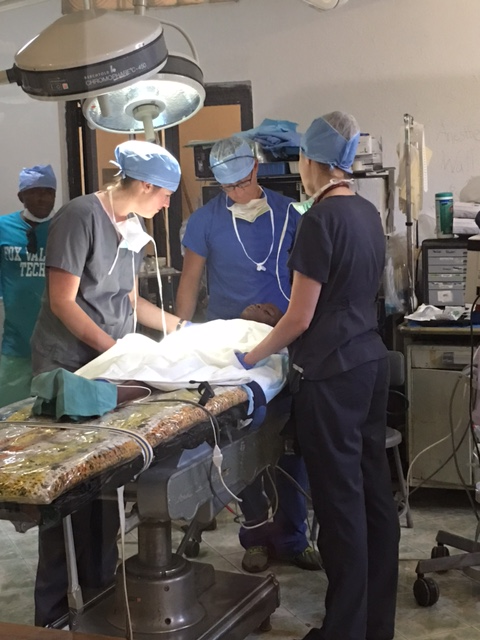 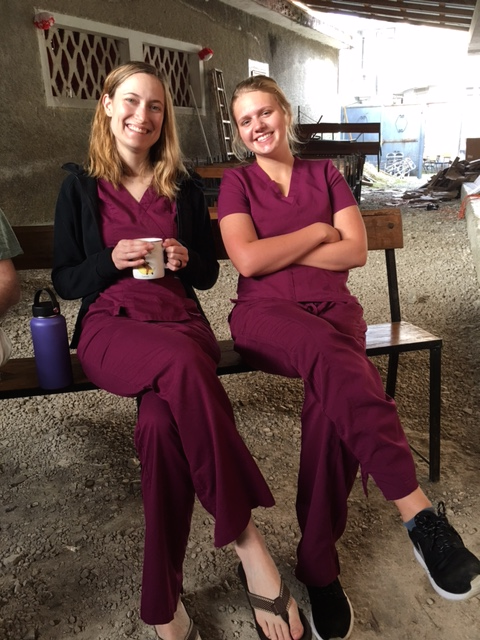 In addition to impoverished regional health needs, the weathered and insufficient infrastructure, and economic deprivation in rural Haiti has led to an increase in trauma cases from motorized accidents. 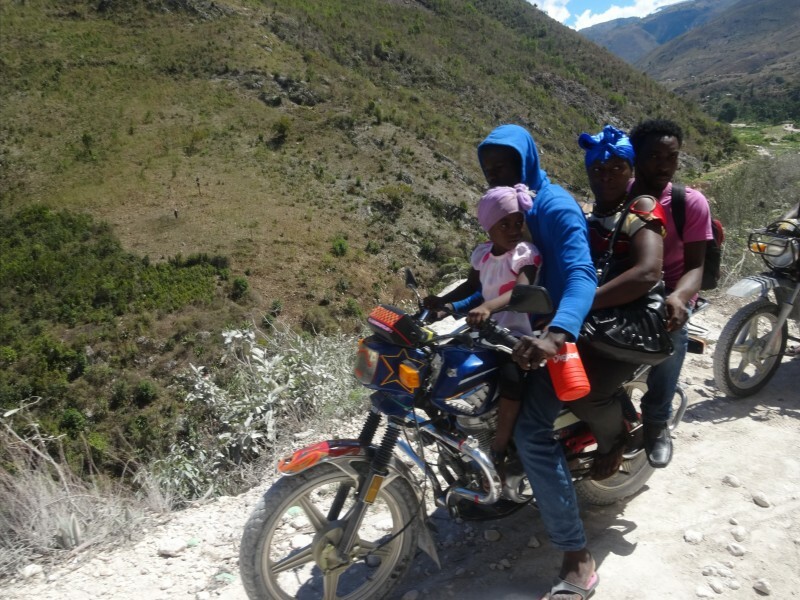 Low budget scooters and motorcycles have become a primary mode of transportation for Haitian families (often 3 to 5 riders per scooter) because they are cheap and easy to maintain. 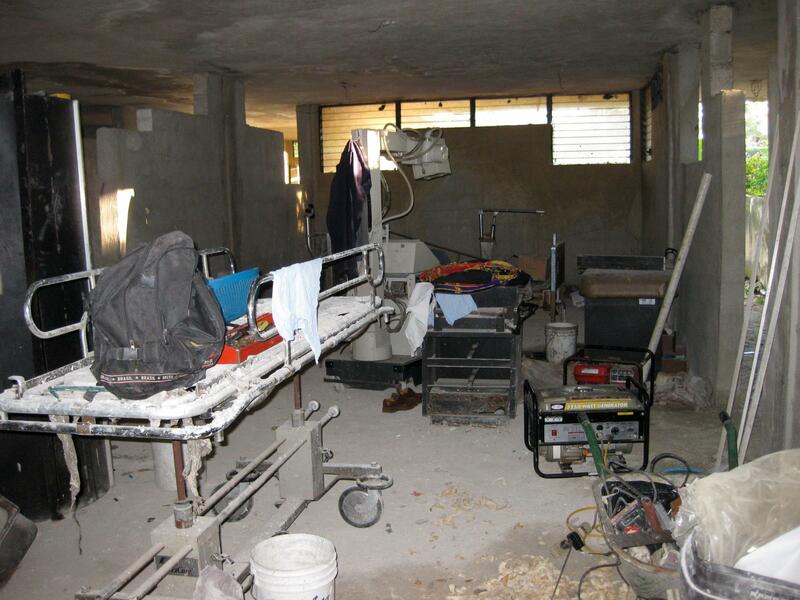 The roads are often washed out and in terrible shape. 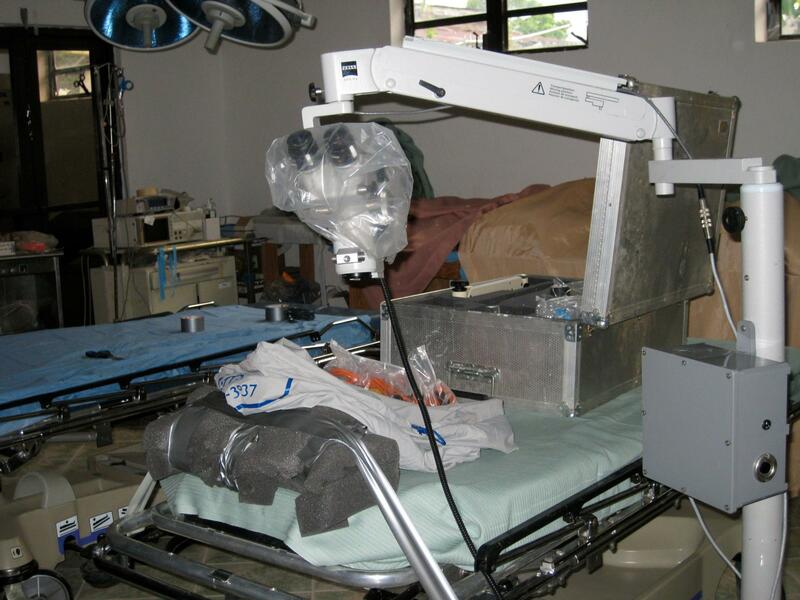 This has resulted in a high incidence of accidents and an increasing need for emergency trauma surgeries.